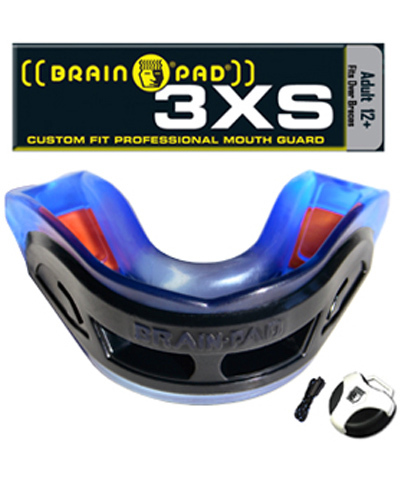 3XS is the Brain-Pad High-End model with integrated High-Impact Gel-pads inserts These Gel-pads offer new feel, fitting and protection, so does this model come with a softer feel and a thicker front layer. 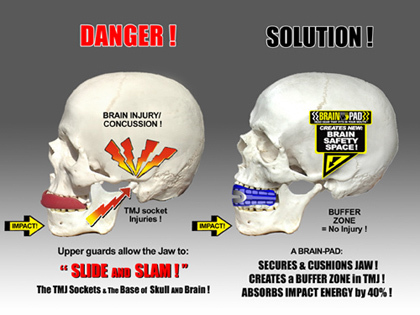 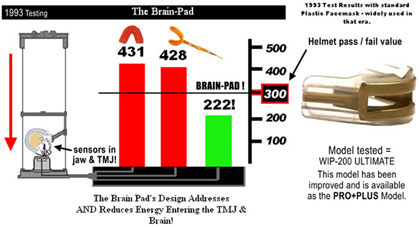 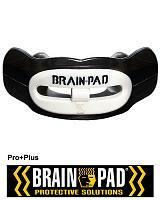 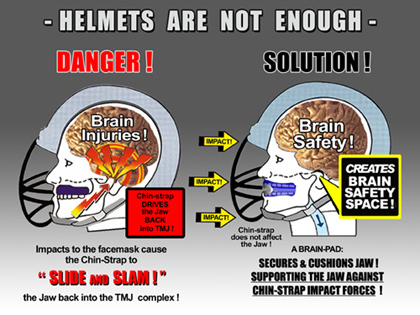 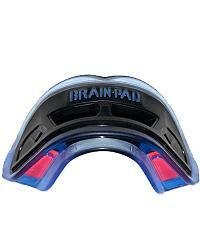 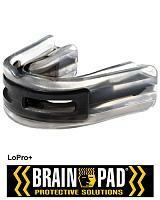 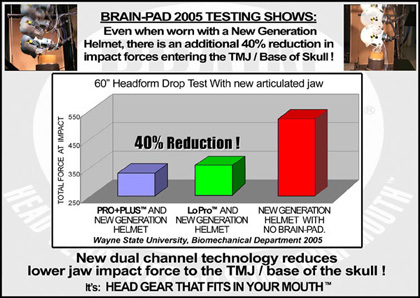 All Brain-Pad mouthguards are tested in house, so is tested that this model absorbs up to 40% of the impact on the jaw, thus reducing the risk of a knock-out or concussion. 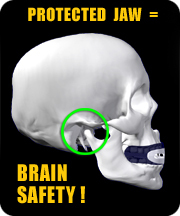 The 3XS cover and protect braces excellently and has an increased airflow intake through the newly designed air channels. 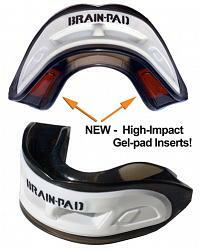 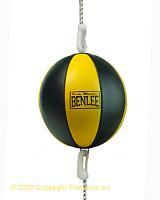 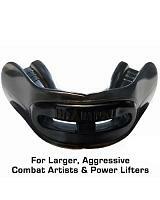 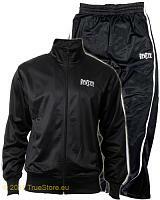 Made and designed for heavy Duty sports like Full Contact Sports, Rugby and American Football. 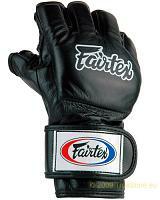 Included in delivery is an antimicrobial hardshell case. 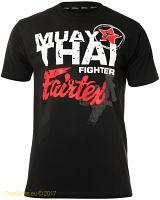 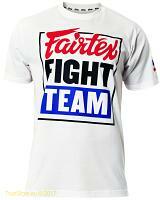 Available in black / blue and in black / white, male size.